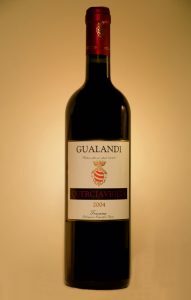 Made with sangiovese 90% and cabernet franc grapes. The vineyards are on hillsides in a region of loamy soils. The grapes are hand-harvested and crated within the first ten days of September. The grapes are lightly stemmed and left to macerate with their skins for about two weeks. Malolactic fermentation is done in barrique where it remain for nine months and then nine months in bottles that are laid in order to help the perfume refining. 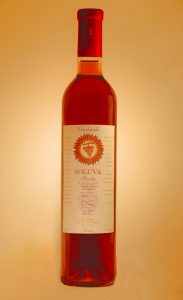 Pairs with: Pasta and legume dishes, pasta with meat sauce, grilled red meat, game, stewed salt cod, medium and long-maturing cheese. Serving temperature 18°C. Made with Sauvignon blanc (95%) and Viognier grapes. The vineyards are located at the bottom of a hillside in clayey-sandy soil, on the site of an ancient riverbed where pebbles are abundant. The grapes are hand-harvested and crated in the early morning hours in late August and kept cool with dry ice. The grapes are lightly stemmed and left in cold maceration and controlled-temperature fermentation. Maturation in stainless-steel vats and one year’s fining inglass. The entire process takes place in an inert atmosphere. Pairs with: perfect with soup, seafood, fish, vegetables and vegetarian dishes in general, fresh cheese. Serving temperature 12°C. 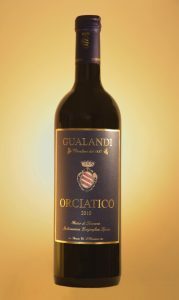 Made with Merlot, Sangiovese and Cabernet franc grapes growing on hillsides of loamy-clayey soil. The grapes are hand-harvested within the first ten days of September. The grapes are lightly stemmed and left to macerate with their skins for about three weeks. Malolactic fermentation is done in barrique where it remain twenty months and then one year in bottles that are laid in order to help the perfume refining. A wine with a strong potential for ageing. Pairs with:excellent with fine matured cheese, weighty roasts of red meat and pot-roasted furred game. Open the bottle at least one hour before drinking. Serving temperature 18-20°C. Made with Chardonnay grapes growing on hillsides of loamy-clayey soil. The grapes are hand-harvested and crated in the early morning hours in late August and kept cool with dry ice. The grapes are lightly stemmed and left in cold maceration. Fermentation in barrique where it remain seven months. 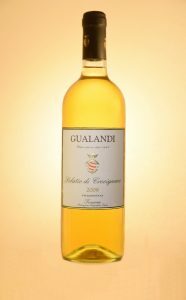 Pairs with: Excellent with fish in sauce, thick vegetable soup, marbled cheese, boiled meat, foie gras, dry pastry, ricotta cheese, honey and walnuts; excellent as a meditation wine. Serving temperature 16°C. 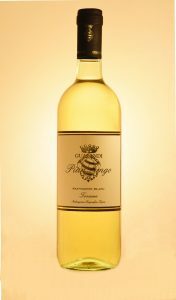 Made with Tuscan Trebbiano, Malvasia and Viognier grapes. The selected grapes are left to dry on reed mats in a ventilated space with controlled humidity till January or February. The grapes are first stemmed and then lightly pressed. The must is put in barrique for a slow fermentation. The wine ripening process last for five years in the same barrique. Aging in bottle for six monthes. Perfect to be drunk by itself or with sweets without creams or cheese. The Gualandi farm is located in a natural reserve created for the protection of wildlife, in a pristine and splendid landscape. The Gualandi family belonged to these lands from the fifteenth century, when the city of Pisa fell under the dominion of Florence and were sent into exile; a branch of the family took refuge in Orciatico (Lajatico), where, since then, he retained a great passion for nature and respect for these places.